My brother was texting me. I had been out of the country. I had not been following what was going on with my hometown police department. “It’s like something out of The Simpsons,” he texted. Police vowed Tuesday to search again if they have to after a night of probing a house with tear gas and thermal sensors failed to find the suspect in a shooting near Auburn University that killed three people. A guy named Desmonte Leonard was the target. He was charged with three counts of capital murder related to a shooting during a pool party in Auburn. The dead included two former Auburn football players. Leonard was also accused of wounding three others (two of whom were also Auburn football players). It is probably worth saying up front that this would not be national news if the dead people had not at one point played college football. Evidently, MPD had received “credible tips” that Leonard was in the house. Do what again? Oh, you know, late night stand-off, media circus, SWAT teams using thermal imaging to search the house, cops saying that they heard coughing and moving in the attic, cops storming the house and drilling holes in the ceiling and tearing the whole place to shreds. No Desmonte Leonard, who, oh by the way, later turned himself in. Authorities scoured the attic and air conditioning ducts and drilled holes through pieces of the house. They vowed to repay the house’s owner or rebuild the structure. So we have dozens of police cruisers, trucks, fire vehicles and vans surrounding a house in a middle-class neighborhood in Montgomery. National media attention is being paid, especially because of the awful symbiotic echo effect that happens when the “news” media gets tangled up with the 24/7 amplification chamber of the “sports” media. Think of a million idiots screaming into a particle accelerator. • Two men already have been charged with misleading authorities during the search. MPD Chief Kevin Murphy said the man who ferried Leonard to the home could be arrested on similar charges. Look, I’m not claiming this was a Grade-A Debacle. The cops acted on some info, trashed a house, said they’d pay for it, and their guy ended up behind bars and is awaiting a fair trial. 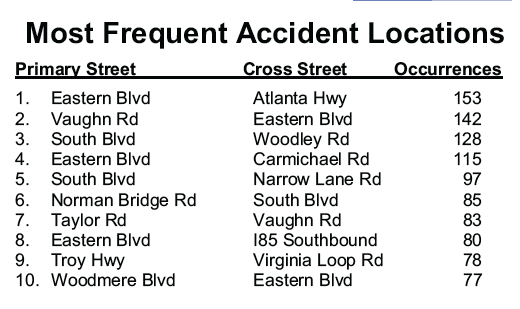 But what is interesting is that the Leonard press conference gave Montgomery residents some insight into the top tiers of the MPD. Chief Murphy was quoted above. He is not to be confused with Chris Murphy, the city’s “public safety director.” The latter Murphy was quoted at the press conference saying that Leonard had some sort of connection to the house that was raided “through someone other than the owner.” That connection remains unclear as of this writing. And then there’s Mayor Todd Strange, who told the press that there was 15 to 20 minutes between the receipt of the tip and the arrival at the front door of the home that was raided. That’s a pretty darn fast response time. Mayor Todd Strange – Mayor Strange took office after Mayor Bobby Bright went off to Washington D.C. to be a one-term Representative in Congress. 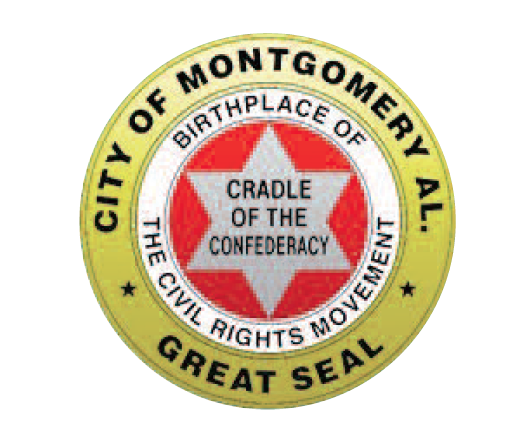 We weren’t here during Bright’s reign as mayor, but we did do enough research to know that the mayor before Bright, a man named Emory Folmar, had a reputation (vis-a-vis police-community relations) that could only be described as notorious. Strange comes off as an exceptionally laid back guy, more than a shade of the aspects of George W. Bush making people say, “That’s the kind of guy you could have a beer with.” He is not a grim-faced authoritarian. He seems to genuinely want economic development based on downtown entertainment and people having (safe) fun. He seems far more interested in profits than crushing skulls or commanding racist stormtroopers like Folmar did. Chris Murphy – Public Safety Director – An Auburn police officer who joined the Secret Service. 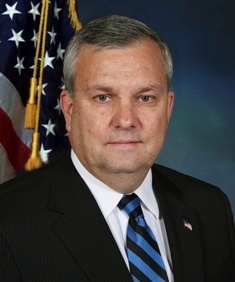 Murphy became the head of the Alabama Department of Public Safety, which is the branch of state government that includes the state troopers and the Alabama Bureau of Investigation. Appointed by Riley, served until 2010. The current head of the DPS in the Bentley Administration is named Hugh McCall. We’re not totally clear on how Public Safety interrelates with the MPD, but like most government agencies, there are probably turf battles in there somewhere. Fortunately, our city doesn’t have any journalists that look into things like, nor do we have any real idea about how the city is split into precincts, or whether funding for law enforcement is going up or down or staying about the same. We assume that because there have not been any major scandals, things must be fine. 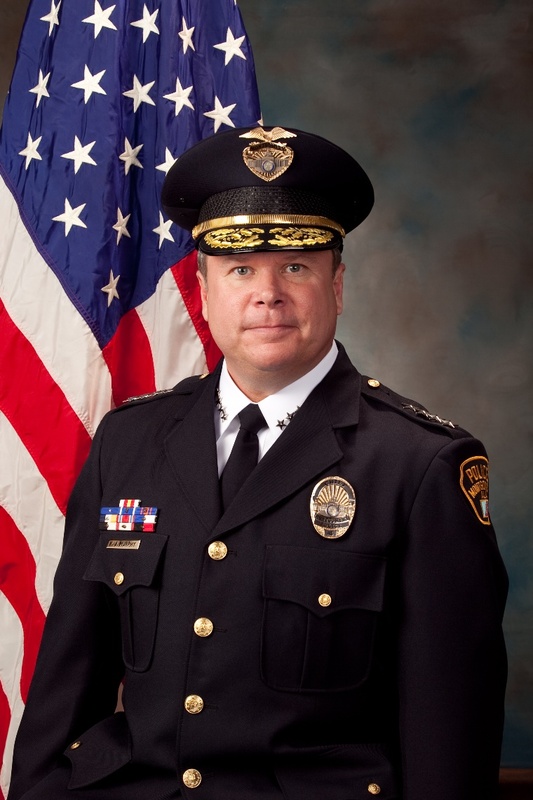 Kevin Murphy – Chief of Police – As of this writing, Chief Murphy’s bio page says that he is in charge of “510 sworn police officers and 200 civilians.” That’s a good-sized force. He took over from Art Baylor, who became a federal marshal in the Obama Administration. If you ever flip around TV channels, you’d know that MPD has a TV show, which is something like the infamous show, COPS, and something (sadly) also similar to the fictional parody show, Reno 911. We’d love to know how much the city gets paid for letting TV crews do ridealongs. 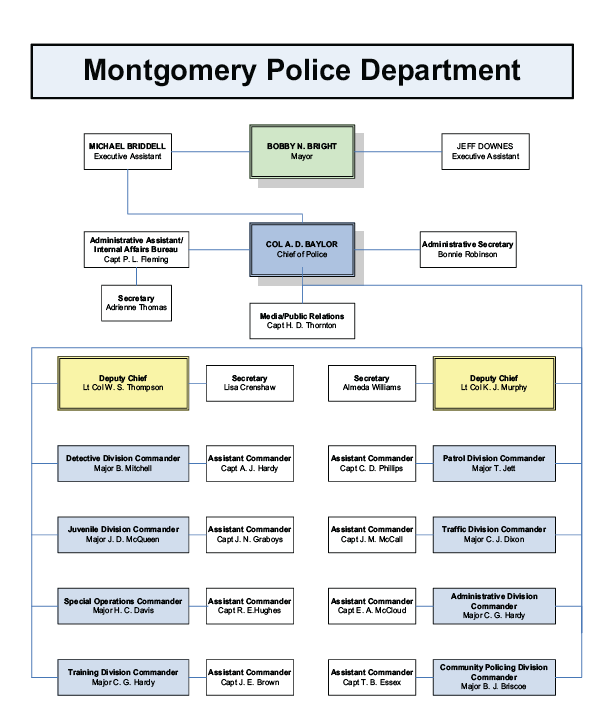 The MPD obviously has a complicated history, and that’s putting it mildly. Not withstanding the bad reputation from the Folmar era, there is also all of the other stuff from the Civil Rights Movement. If you want to read something really crazy, try to get your hands on a self-published book from 2006 called “Another View of the Civil Rights Movement” by Drue H. Lackey. 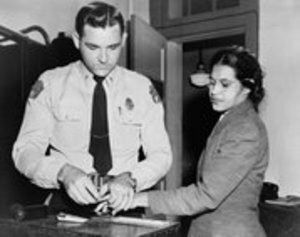 If the name strikes you as familiar, it’s because Lackey is the officer present in the famous picture of Rosa Parks being fingerprinted, kicking off the Montgomery Bus Boycott. Lackey’s ’06 book is a paranoid and defensive thing, an effort to show that the “white man’s” side of the civil rights story has been neglected by historians. Since his time as MPD Chief of Police, he ended up associating with some unsavory characters. This means nothing for Chief Murphy, other than he has a tough job on his hands and probably a lot of folks in our community that refuse to distinguish Murphy from Lackey (who was chief from 1967-1970), or any of the other MPD cops that could help a million people in thankless fashion and have their reputations permanently tarnished by a Todd Road Incident. 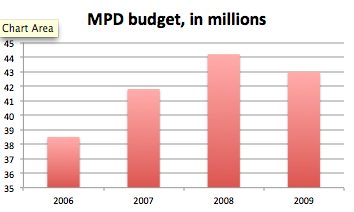 The MPD also have a link on their webpage to a sub-page called “Annual Reports.” Evidently, MPD has been too busy solving crimes to produce an annual report since 2009. And the 2008 one isn’t actually linked on the site. And that means if you want to read the two most recent annual reports on their site, you get one that is three years old and one that is five years old. Transparency! 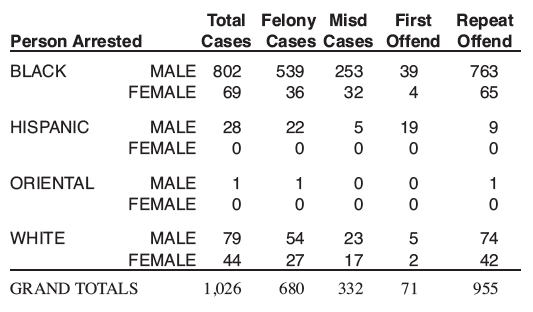 To be fair, they do seem to keep a little more up to date on the crime stats, here listed through 2010. But what are these “annual reports?” Next time, we’ll take a look of what we can find of these reports. But for now, we are glad that Desmonte Leonard is in custody and that the MPD is out there, doing thankless work in a world that increasingly views government spending on basic services like roads and police officer salaries (and pensions) as wasteful Socialism. Here’s hoping more people will get to know the cops, and prevent them from turning into the big metro department up the road, which evidently has a problem with officers being lunatic arsonists. 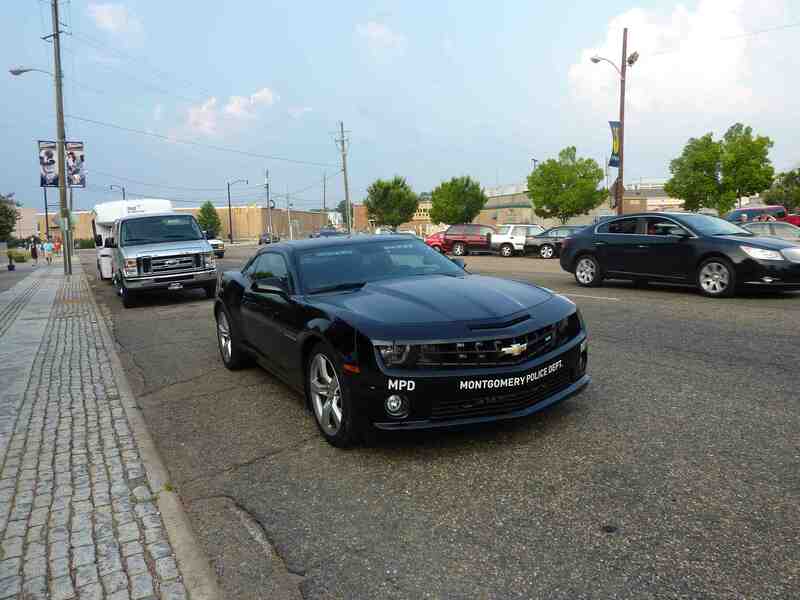 When you're a) the cops and b) the driver of a Camaro this bitchin', you probably need to park it this far from the curb.